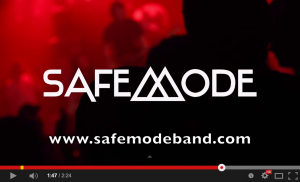 Welcome to the official webpage for Swedish metalcore-band Safemode! The time is here for Safemode to launch their own coffee brand! While waiting for some new music from Safemode, put on Gold Digger, take a sip of our coffee or espresso, and join the other people behind the scenes! • Free download of the new CD before it’s released! Today Sweden Rock announced that Safemode will be one of the bands performing at this year’s festival in Sölvesborg. The band hopes to expand their fan base among listeners to artists like Def Leppard, Toto, and Mötley Crüe. Earlier today, Sweden Rock announced that Swedish metalcore-band Safemode, will be one of this year’s bands participating at the Sweden Rock Festival in early June. February 14, 2015 // Do you want to hear new songs from Safemode in 2015? Here is your chance to make it come true! We got some really great new songs. Two studios are booked, and a great producer is ready to start recording. Now, we need your help to make this happen. Help us record our brand new album! Read more here, and please, spread the word! We’ve got some really cool perks. What about having Safemode writing a personal song to you, based on your life? Well, here is your chance! Thanks a lot for all your support! We love you! January 7, 2015 // The songs Another Day Will Haunt You and Last Push from the new EP Gold Digger made it to RadioU’s 50 Most Wanted in 2014. Last Push reached no#15 and Another Day Will Haunt You no#48. The band wishes to thank the listeners and RadioU for all support! November 11, 2014 // Safemode just got home safe, after 20 hours of driving the last 2 000 kilometers from The Netherlands via Germany and Denmark. The band performed at the festivals Blast Of Eternity in Neckarsulm, Germany, and Brainstorm Fest in Apeldoorn, The Netherlands, among other bands like War Of Ages (US), Crimson Moonlight (SWE), and many more. October 30, 2014 // Safemode is heading to Germany and The Netherlands in the beginning of November, and will bring two brand new t-shirts (limited edition) for this tour! About the band. Short version. Safemode is a five piece metal core band from Uppsala, Sweden. The band started in the spring of 2007, inspired by bands such as Underoath, Blindside, and The Devil Wears Prada etc. Safemode won national music contest Rockkarusellen with 600 other bands in 2009, and in 2011 the band also managed to win the Red Bull Bedroom Jam’s competition, along with performing at the after party at Sonisphere Festival in Stockholm in front of bands like In Flames and Slipknot. Safemode has made two European tours and two tours in Latin America. So far… Read the full bio here. We’re Already Gone (EP) 2009, Die To Live (EP) 2009, For A Better Tomorrow (album) 2010, My Salvation (single) 2013, Another Day Will Haunt You (single) 2013, Gold Digger (EP) 2013, Colorblind (album) 2016.